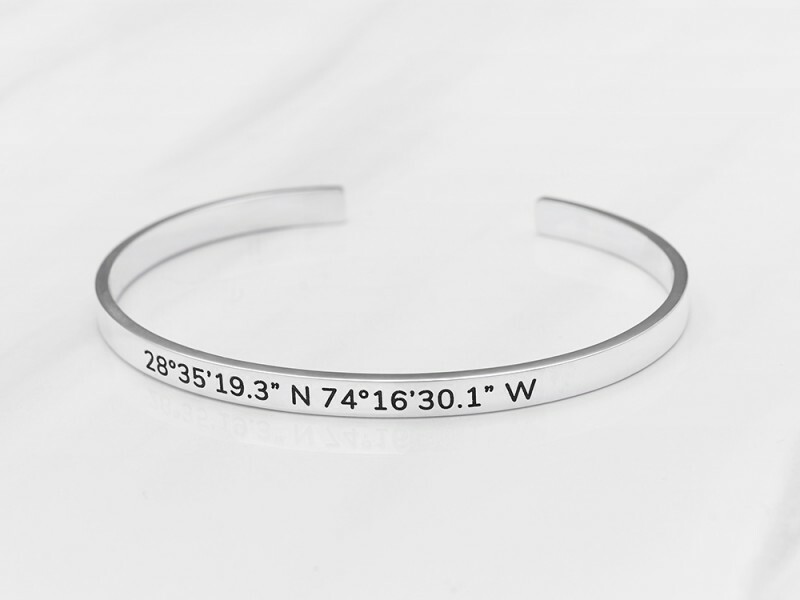 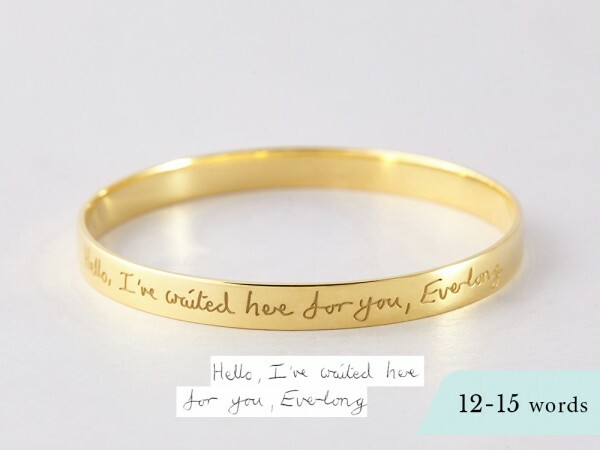 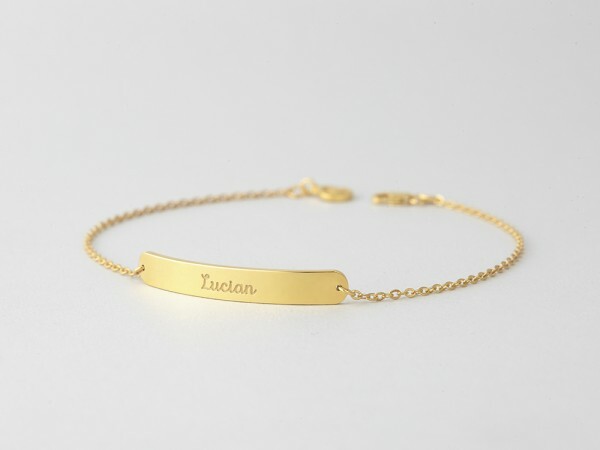 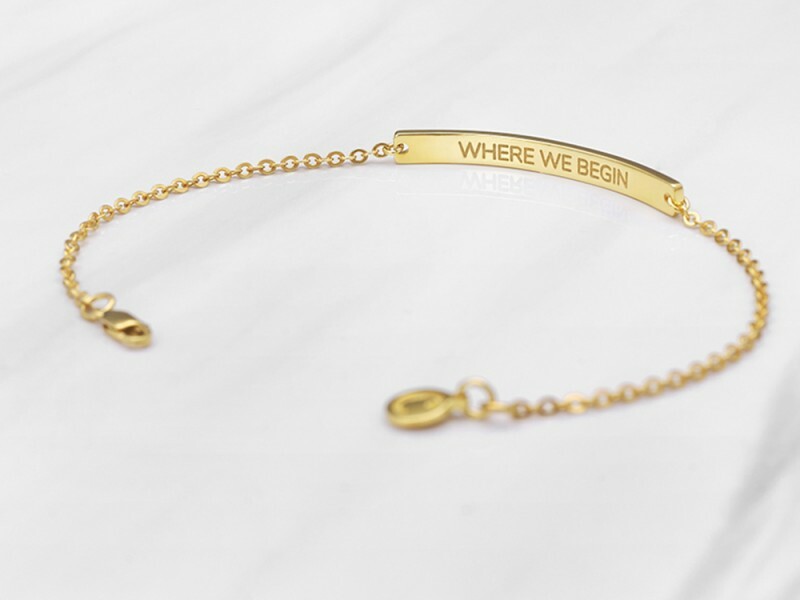 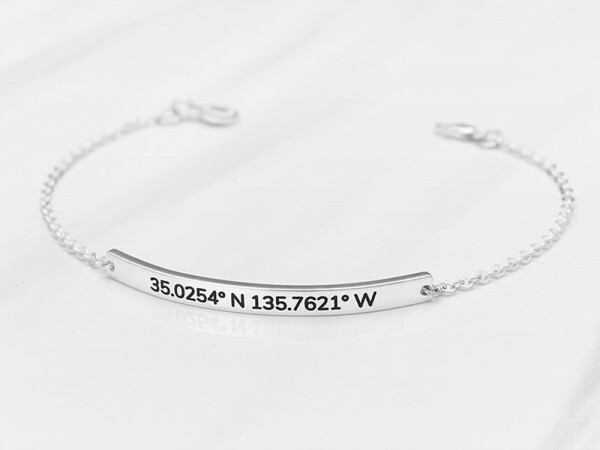 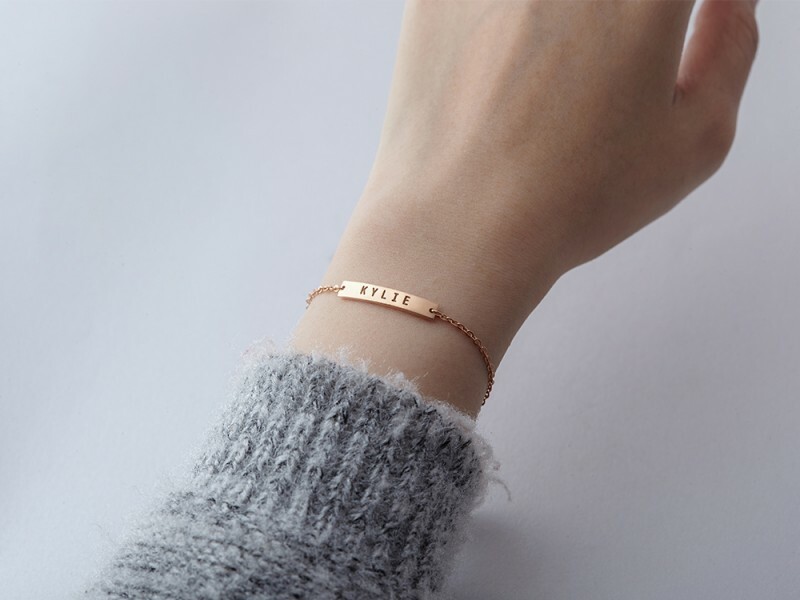 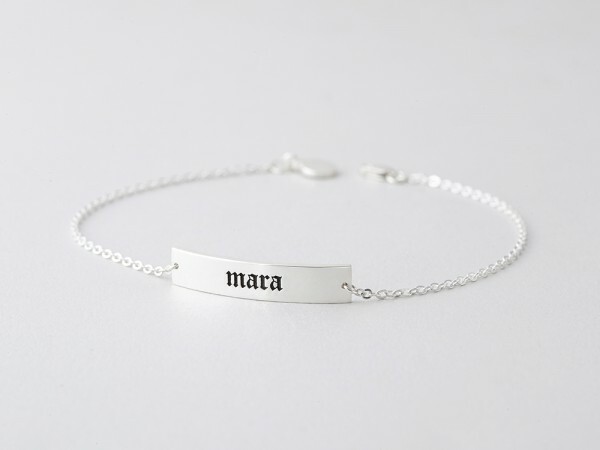 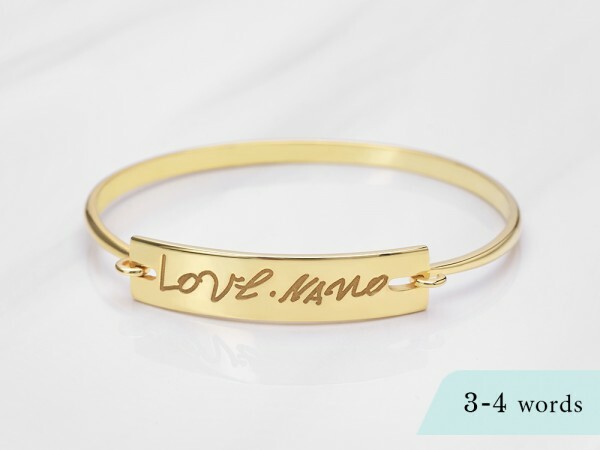 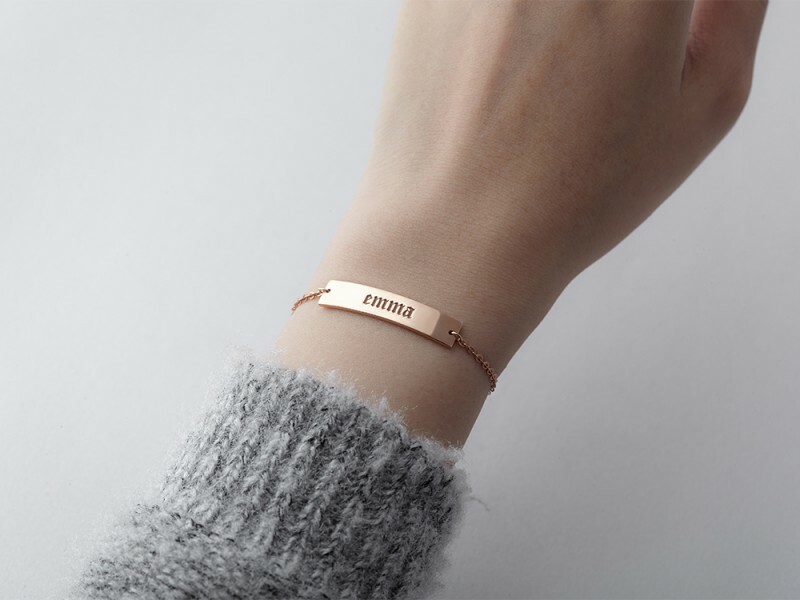 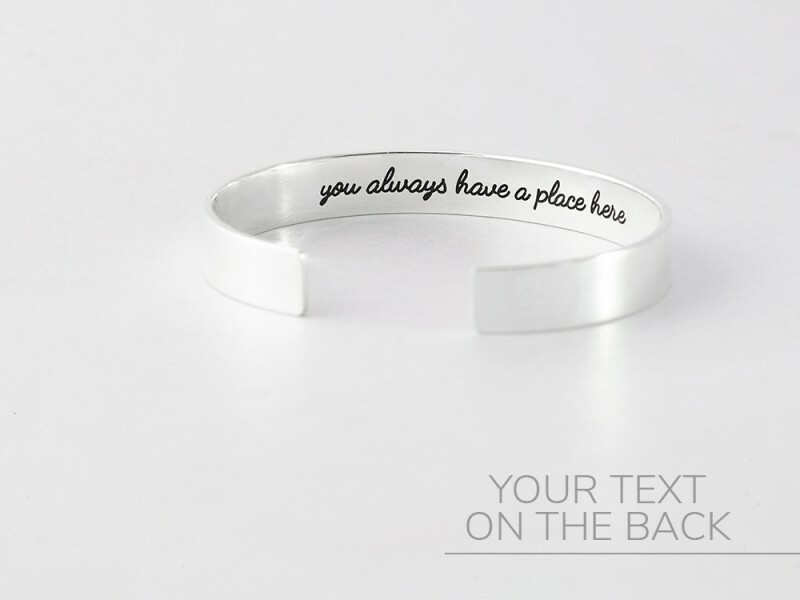 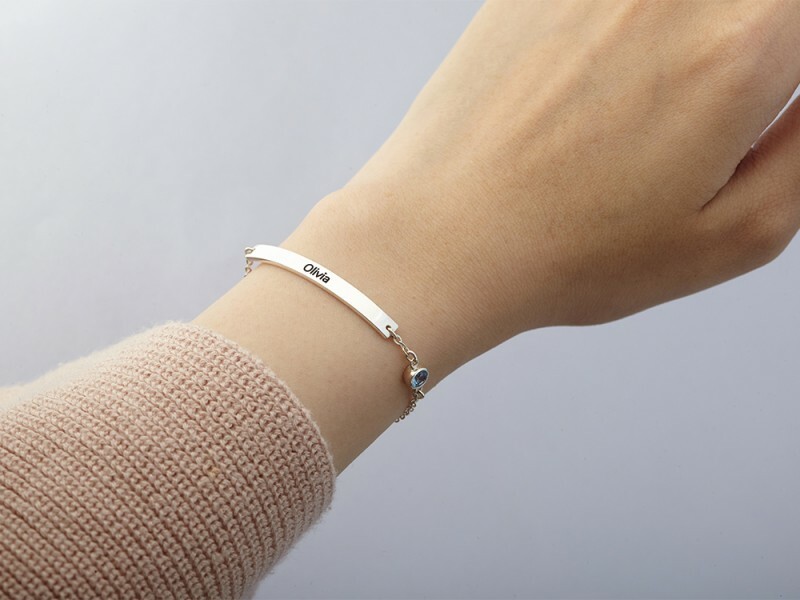 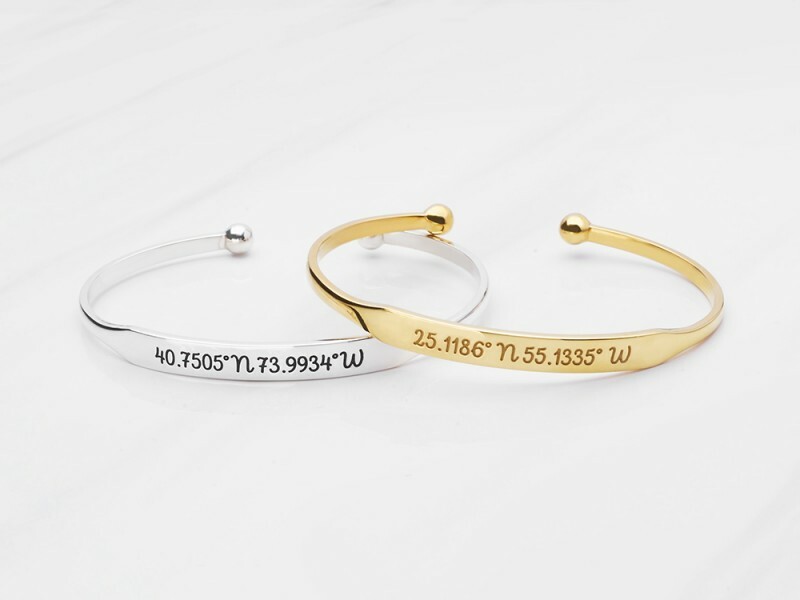 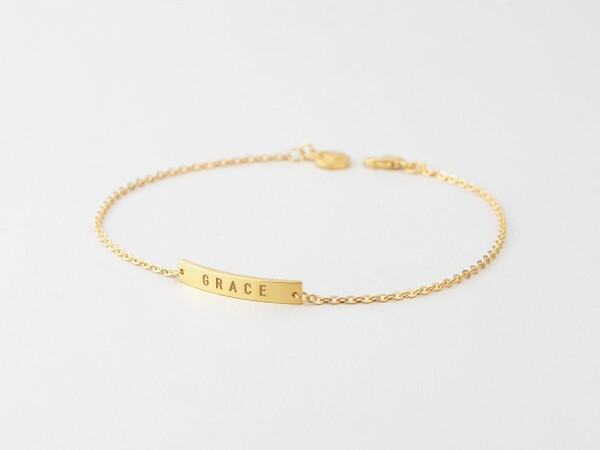 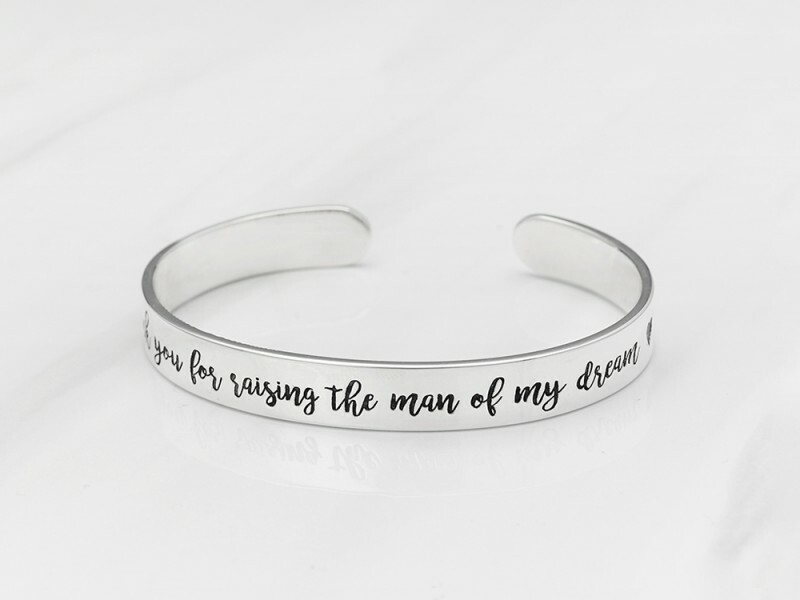 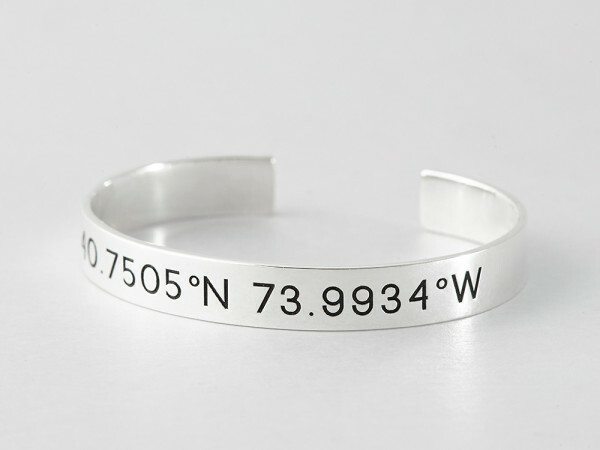 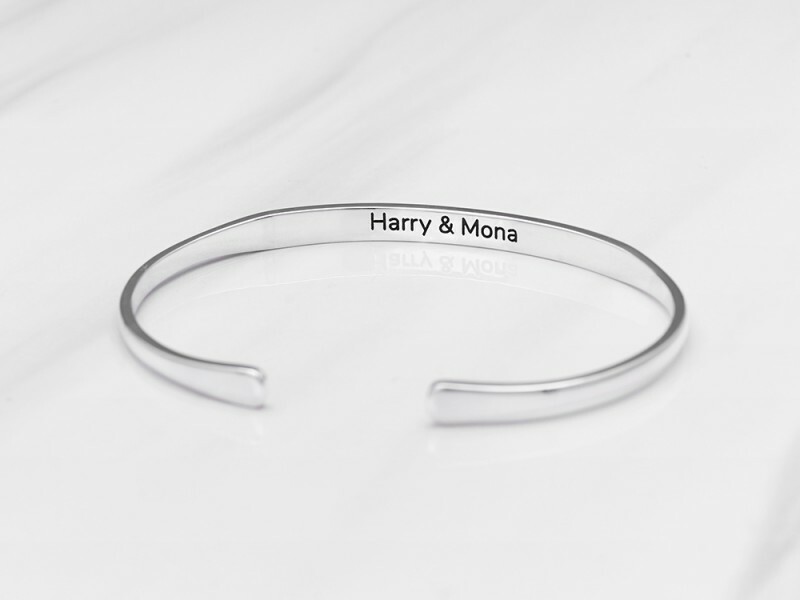 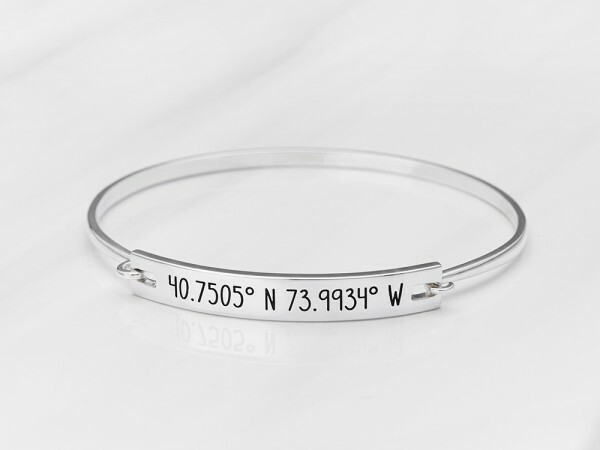 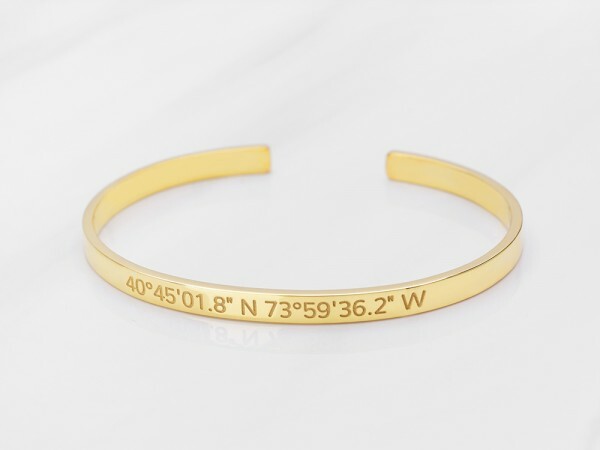 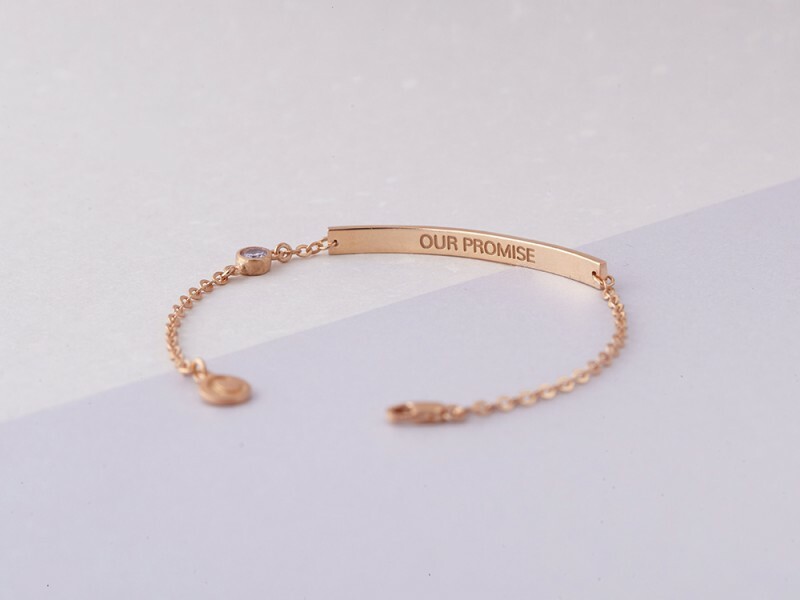 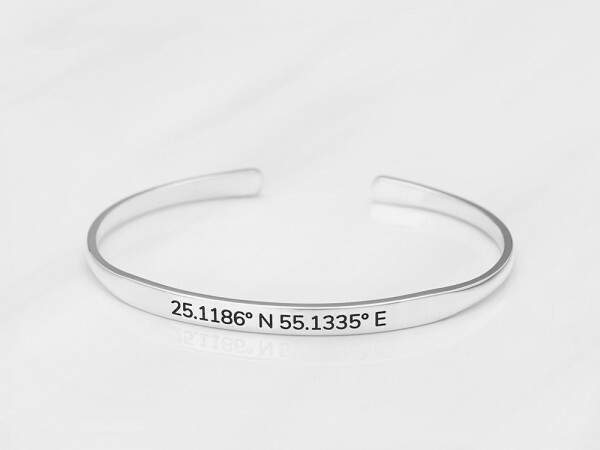 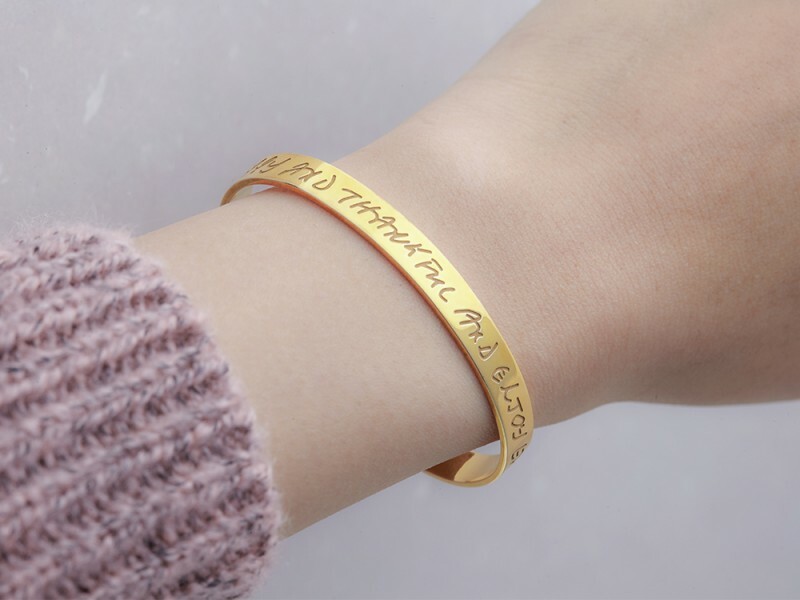 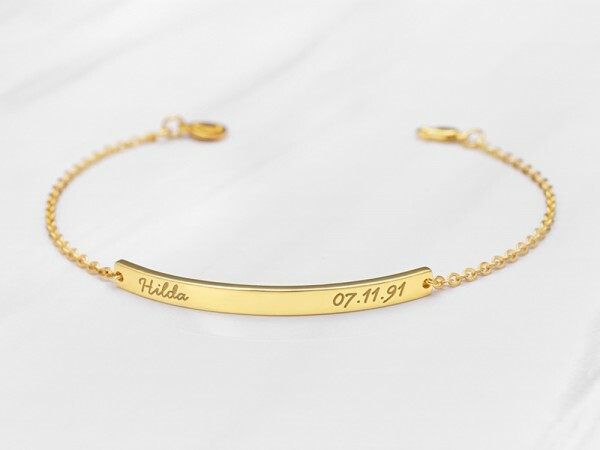 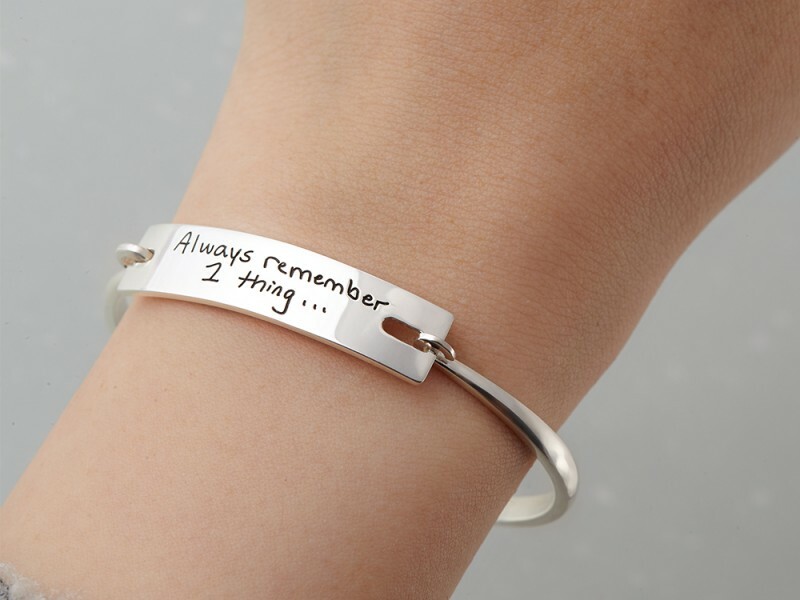 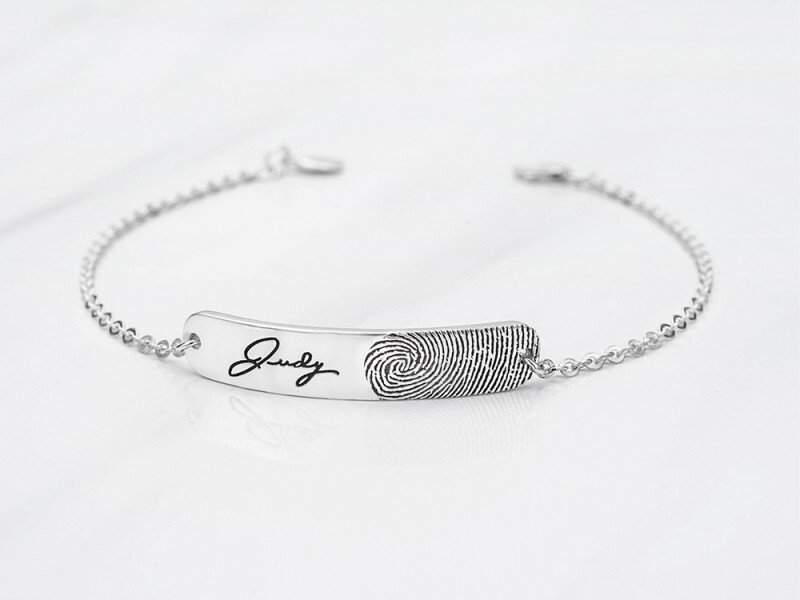 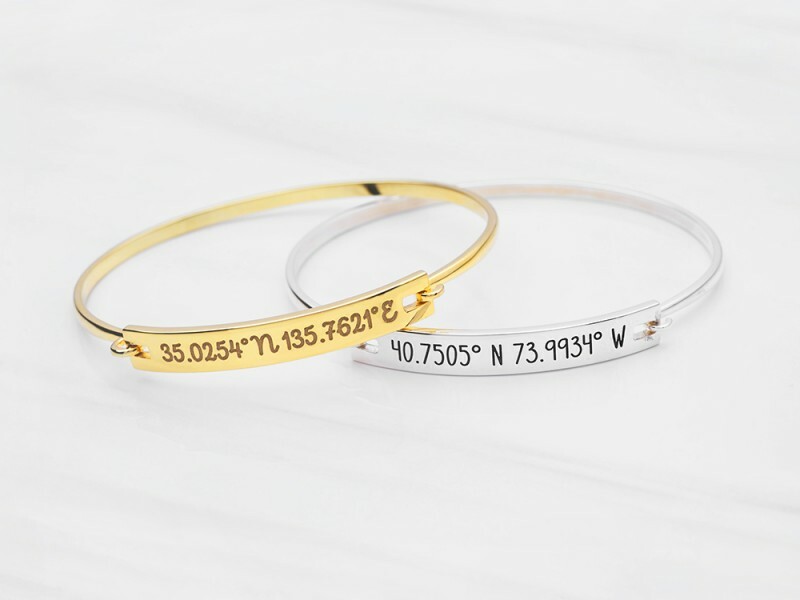 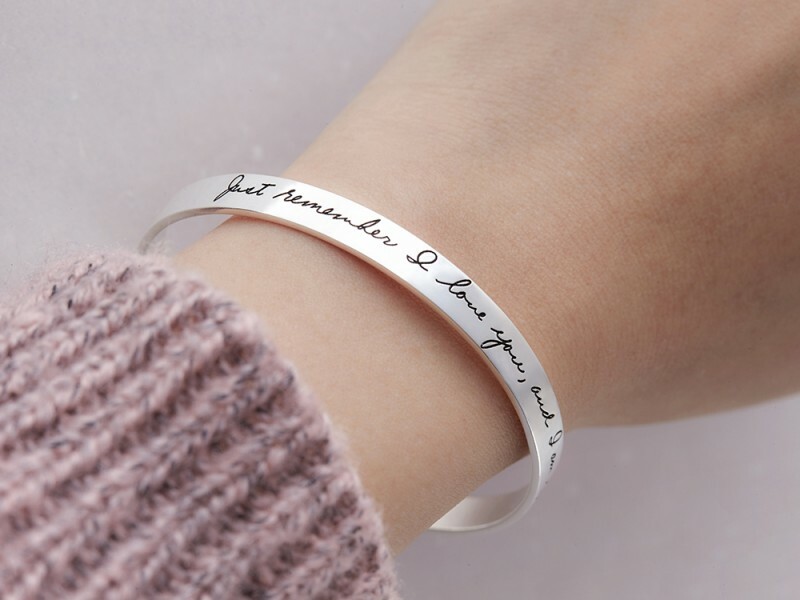 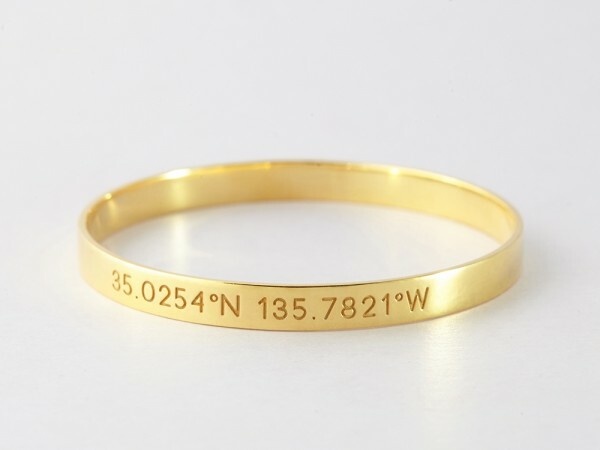 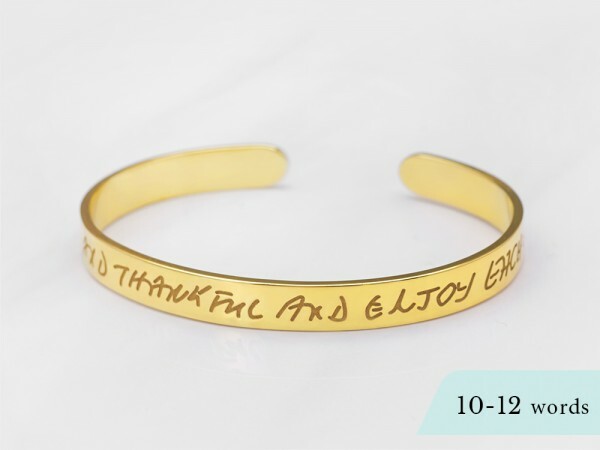 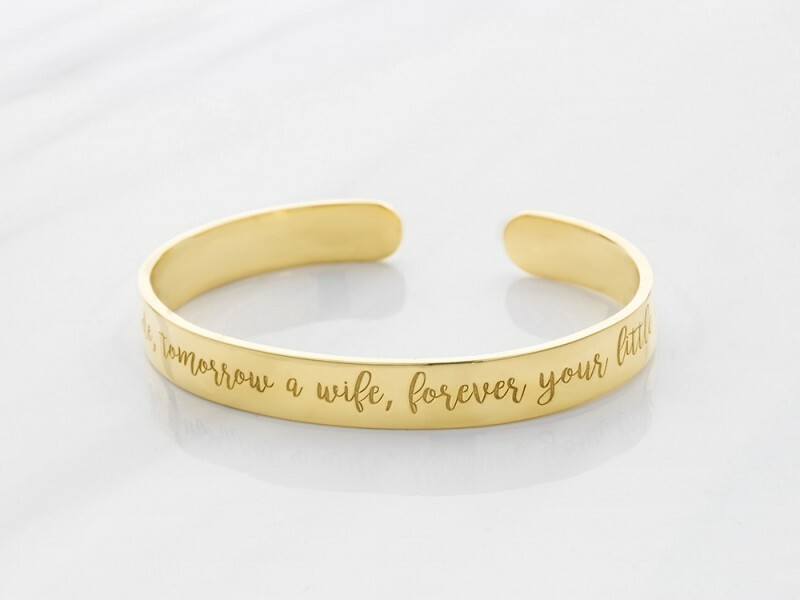 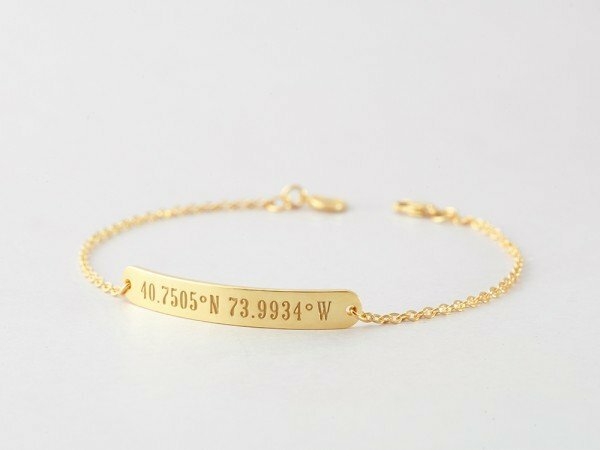 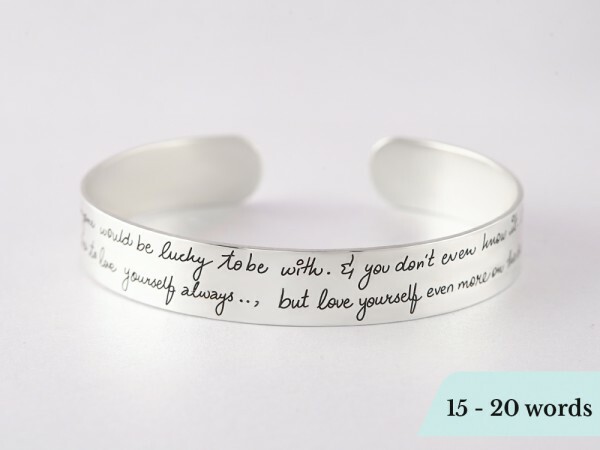 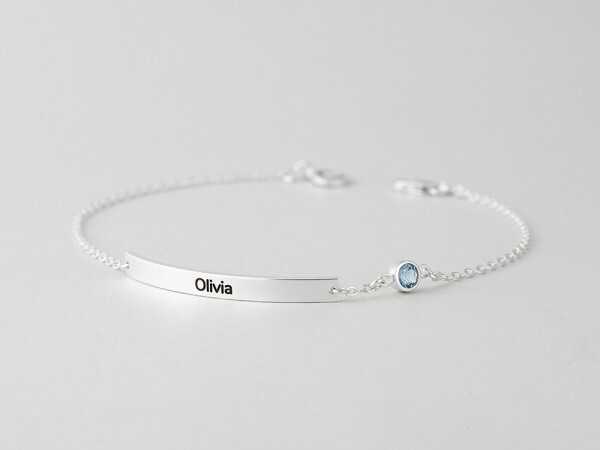 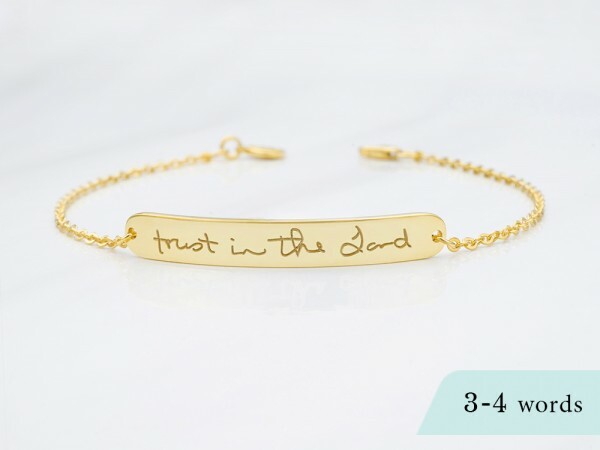 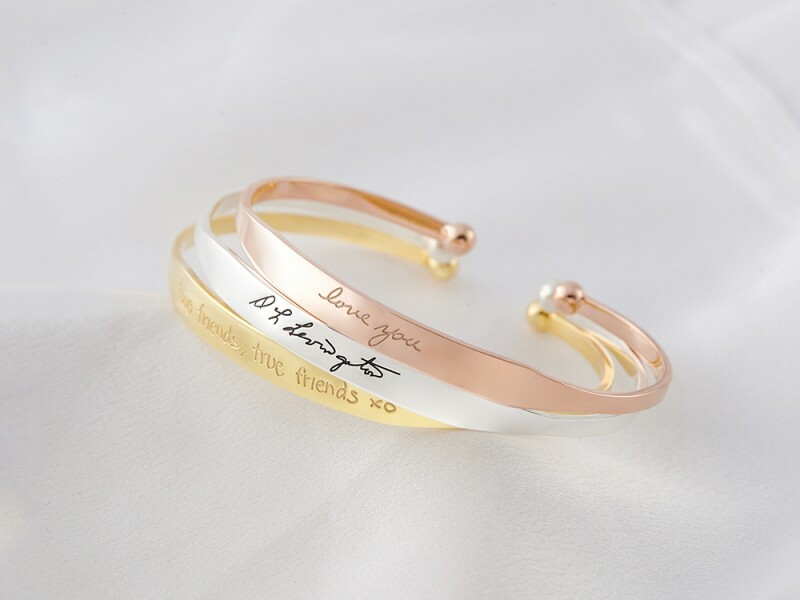 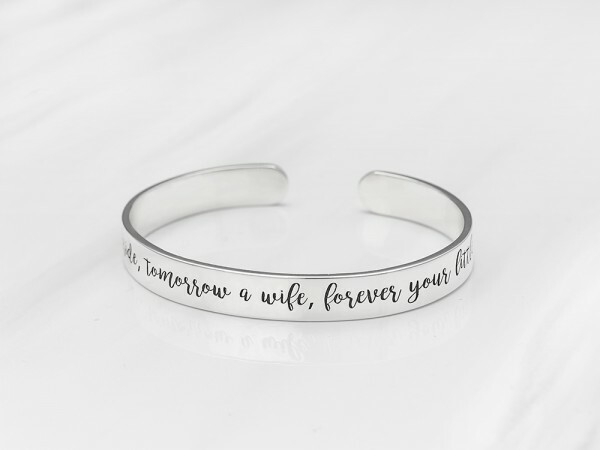 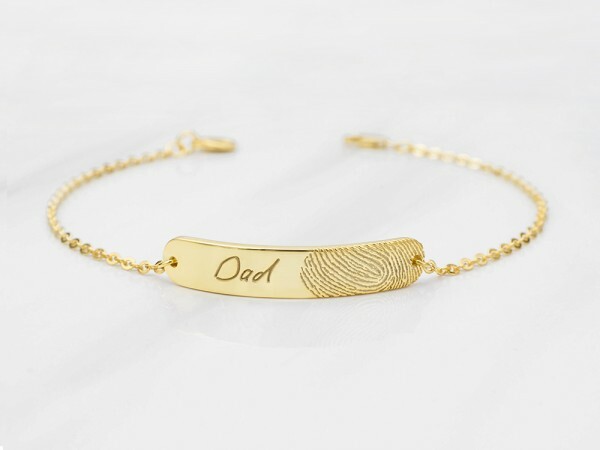 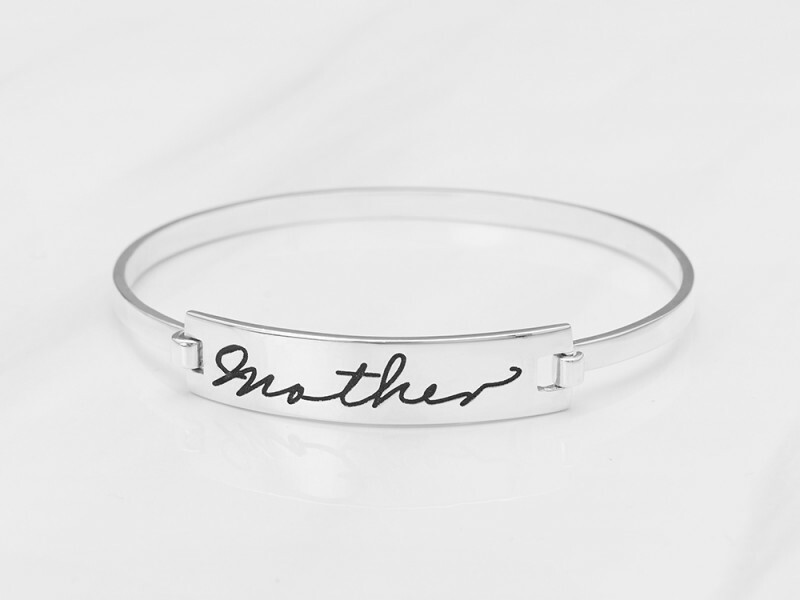 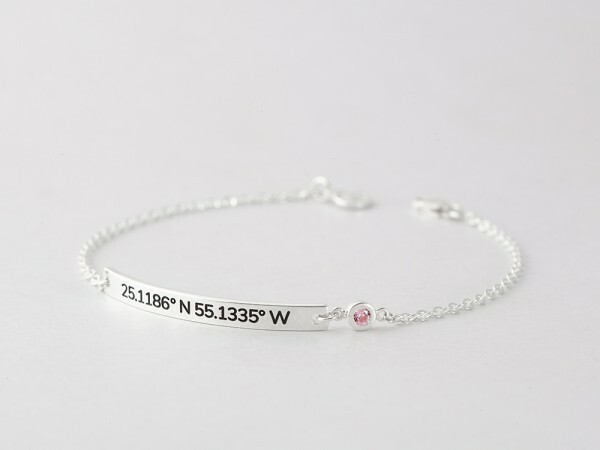 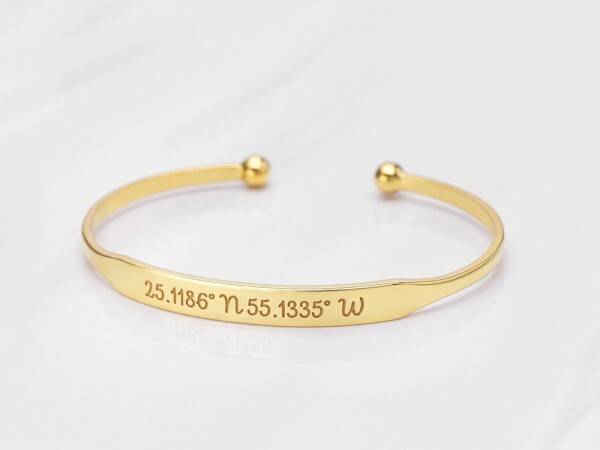 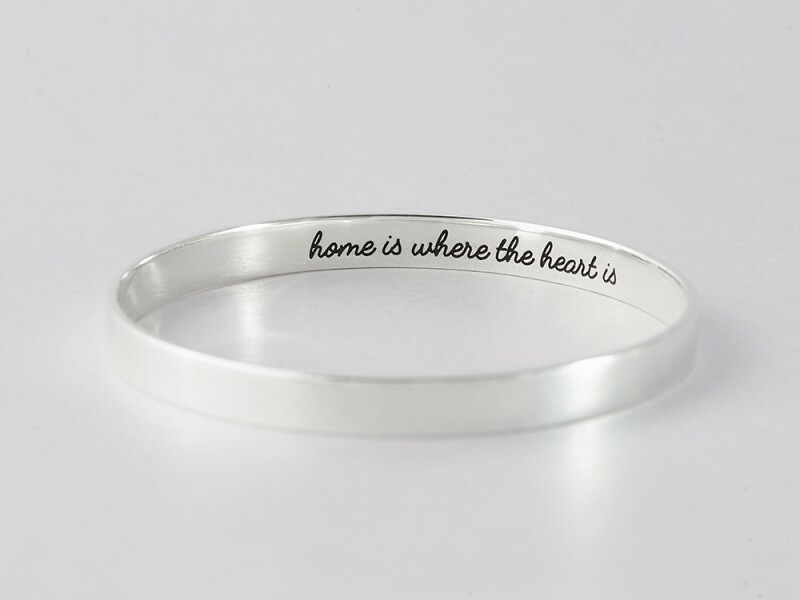 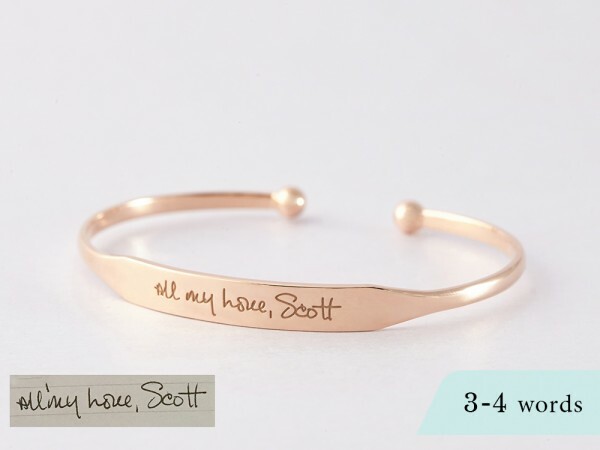 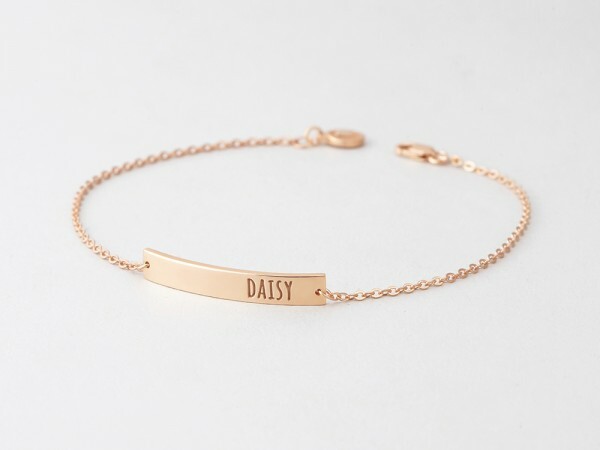 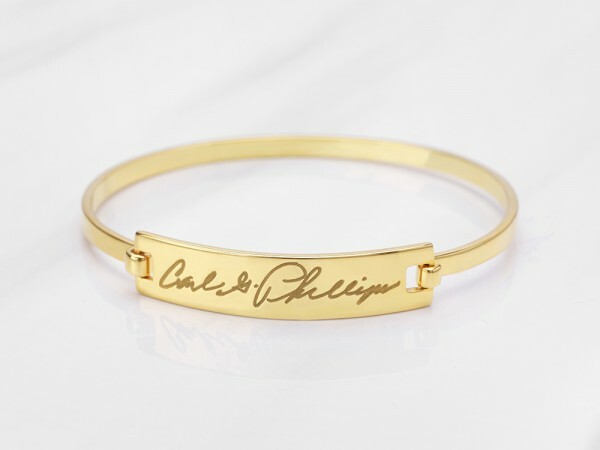 These stunning personalized bar bracelets are a modern chic way to wear your custom name, dates, initials or coordinates that are special to you. 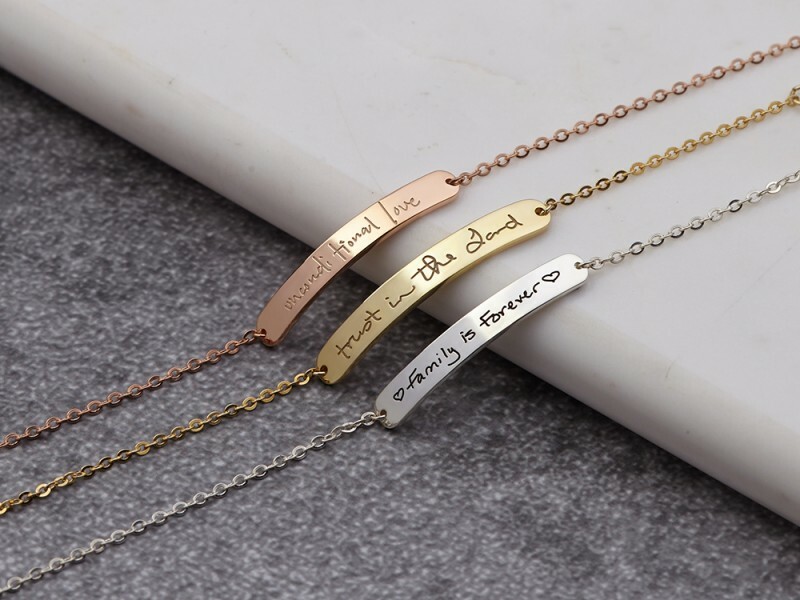 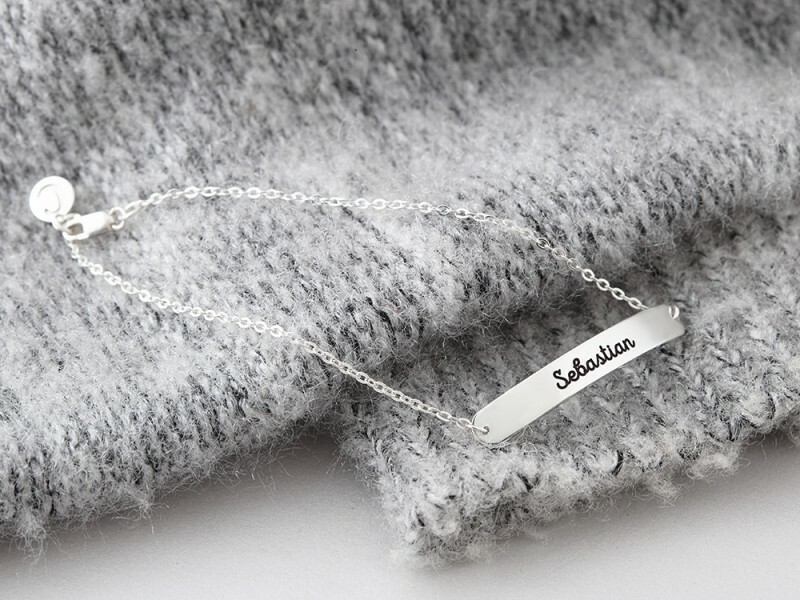 Wear singly or layer in multiples to tell your whole story, these customizable bar necklaces come in sterling silver with 18K yellow or rose gold plate options. 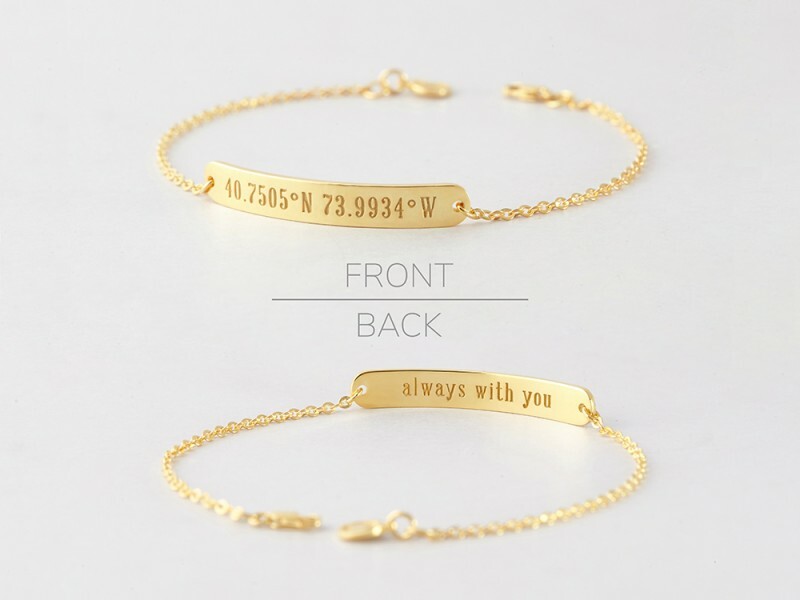 Perfect as gift for mom or wife, they can also be worn as couple necklaces as plate necklace.